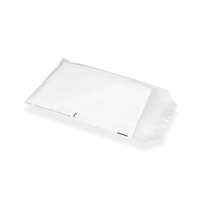 The completely compostable Bio Toptac Envelopes are extremely light weight when compared to our regular Toptac Envelopes. Using Bio TopTac envelopes you will be actively caring for the environment. The Bio Toptac Envelope is made entirely of corn starch so these envelopes are completely compostable. The Bio Toptac is very strong and easy to seal by using the peel and seal strip. If you want to give your mailing a lot of added value, the Bio Toptac can be printed with your personal design. The compostable Bio Toptac Envelopes are very useful for mailings, promotions, sending your brochure, magazine, catalogues, leaflet and other important documents.